After a successful auction year 2018, the Hannoveraner Verband will start the year 2019 with the next Verden auction. 55 dressage horses and 29 show-jumpers will be for sale in the Niedersachsenhalle on Saturday, January 19, starting at 2 pm. Like the Verden auctions, Van Moor by Van Helsing/Singular Joter (breeder: Luise Benjes, Hambergen), the cover hero of the auction brochure, can also look back on a successful year. Two years ago, the black gelding was sold to Hans-Peter Fricke, Heeslingen, at the Verden Elite Auction in October. Since then he has been jumping with rider Josch Löhden through Germany's jumping competitions for young horses. 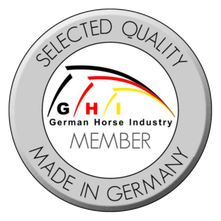 At the Munich Indoors in November 2018, the two were second in the overall Youngster Cup ranking for seven-year-old show jumpers. 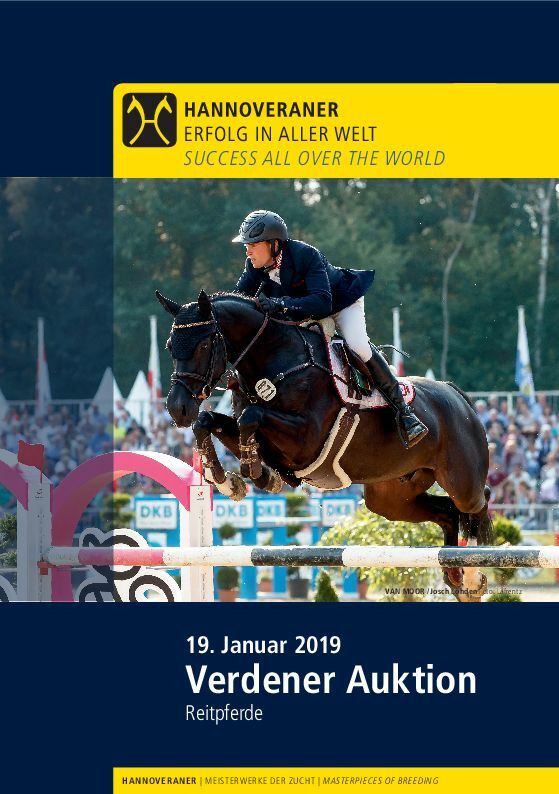 The next stars for the upcoming competition season will be for sale at the Hannoveraner Verband on January 19. A collection of 84 carefully selected riding horses show themselves to the visitors in the Niedersachsenhalle. 55 of them are equipped with a dressage pedigree and 29 with a jumping pedigree. Some of the auction horses show a double talent and are promising stars for both dressage and show-jumping. With five offsprings the Celle State Stud stallion Don Index has the biggest group of offspring, followed by his stable neighbours Livaldon and Viscount with four offspring each. 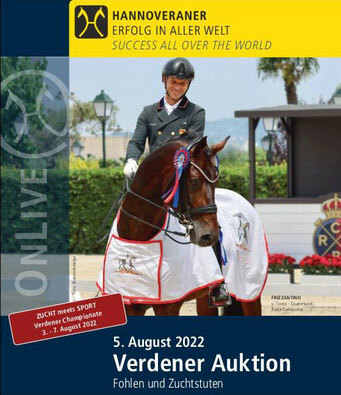 The latter convinced with his offspring at the Verden Auction last year: They achieved above-average results in both the dressage and show-jumping squads at Verden Auction in November. 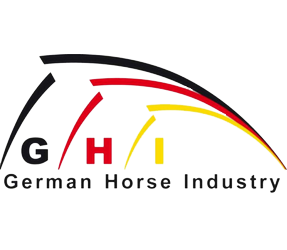 The auction horses will move into their boxes at the Niedersachsenhalle in Verden on January 7. From January 8 onwards they can be examined in daily training and tried out after consultation with the customer advisors. The auction starts on Saturday, January 19, at 2 pm.